Recent research by the online and mobile bingo industries has shown that playing on hand-held devices is increasingly the platform of choice for UK bingo players. It revealed that 58% of players at some time use a smartphone or tablet to play, while 24% of all players use a portable device exclusively. The research also showed that some 42% of UK online bingo players play across multiple platforms i.e., a combination of desktop, laptop, smartphone and tablet. This highlights the importance for UK online bingo operators of a multi-channel approach that encompasses all playing platforms. However, the response across the industry has not been uniform, in that some operators opt for a dedicated app suitable for hand-held devices alongside their web-based games (or in some cases, instead of), while others will only offer bingo games that you play directly in the browser of your phone or tablet, and without requiring a download. What is interesting is that there would seem to be no correlation between an operator’s size and prominence as to how they offer their mobile bingo games. For instance, major names like Paddy Power, Gala Bingo and Sun Bingo all offer players the option of playing on a dedicated app for either iOS or Android alongside their web games, while some big bingo brands, like Dove Bingo, provide web-based mobile games exclusively, in place of a downloadable app. What does perhaps go some way to explaining these different approaches, however, is the length of time an operator has been in business, in that it does tend to be newer brands who are entirely web-focused, while more established names generally have both apps and web games. How do we play mobile bingo in the UK? However, it would seem that playing habits more than anything else will be the primary driver for the direction mobile bingo takes in the future. The same research cited above also showed that 62% of UK players log into their bingo room of choice on their mobile phone via web browser, with only 12% choosing to do so via an app (26% of players reported using both methods). This trend would seem to be reflective of the direction other branches of the online and mobile gaming industry are going; for instance, if what is happening with online casinos is any guide, it might well be the case that new operators entering the online bingo industry will focus exclusively on HTML5 games that can be played directly in the browsers of phones and tablets, bypassing the use of dedicated bingo apps altogether. For instance, the new generation of mobile casinos have moved away from offering their games via a downloadable software client to web-based games in response to players’ growing desire for choice and variety. In the industry’s earliest days, the technology meant that operators aligned with a single game developer, and so you could only play one producer’s slots games, for instance, at a casino site. However, both the technology and the business model have changed, and as a consequence, new online casinos opening their virtual doors now are rarely exclusive providers — instead, you will most likely find the games of big developers like Microgaming and NetEnt together at the same site, along with those of smaller producers as well. For mobile bingo sites, the need to offer variety is also a factor; 67% of all UK online bingo players also play slots games, and they too share the expectation of being able to play a wide variety of games at a site where both bingo and slots can be played. Essentially, players are now much more demanding in terms of the range and choice of games they expect to be offered, so operators are seeking the platform that gives them the most flexibility in order to be able to meet these expectations. 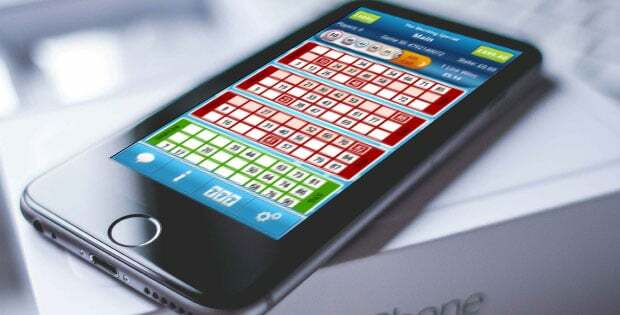 Therefore, while it was once essential to have an app in order to capture mobile bingo and gaming players, largely because of the convenience factor and the fact that the gaming experience was deemed superior to that of web-based games, technological advances and player demands now mean that this is no longer the case. While it’s true that many brands who already have bingo apps will continue to develop and upgrade them, not all operators will go down that path, with the evidence suggesting that having an app isn’t necessary for your brand to be able to reach players or to be successful in the way that it once was. What does the future of mobile bingo look like? It would seem clear that mobile bingo is only going to continue to grow, especially if data released by Ofcom on UK mobile phone and internet usage is a guide; 76% of adults in the UK own a smartphone (as of Q1 2017), with 18% living in mobile-only homes. Perhaps more significantly, 66% of UK adults use their mobile phones to access the internet. All of this would suggest that developers and operators will continue to make mobile bingo their focus, at the expense of online games played on desktops and laptops. And it might also reasonably be concluded, given the stats about how people actually play bingo games on their mobiles, that it will be web-based games where the real development and innovation takes place. This is not to say that bingo apps won’t continue to be developed and be available; however, it does seem to be the case that operators will not be adversely affected by not offering its UK bingo players an app to download. It will also be interesting to see what effect, if any, Google’s decision in August 2017 to once again allow real money bingo apps to be stocked in its Google Play store has on their growth and use. It’s reasonable to expect that it will have some impact on brands’ future development and distribution of Android bingo apps in particular, but whether it changes the position of those entirely web-based operators remain to be seen. In the end, however, provided that web-based mobile bingo rooms offers the same variety of games and other features that dedicated bingo apps do, players’ current behavior and choices would seem to suggest that the vast majority are more than comfortable with playing bingo on their phones and tablets via the web, and so don’t necessarily see the need or immediate benefits of an app. And, when we also take into consideration how online casinos are developing, it’s hard to see the circumstances in which this might change, at least in the short term.